Genetic tests confirm that a mysterious, unnamed species of beaked whale only rarely seen alive by Japanese fishermen roams the northern Pacific Ocean. This is according to newly published research. 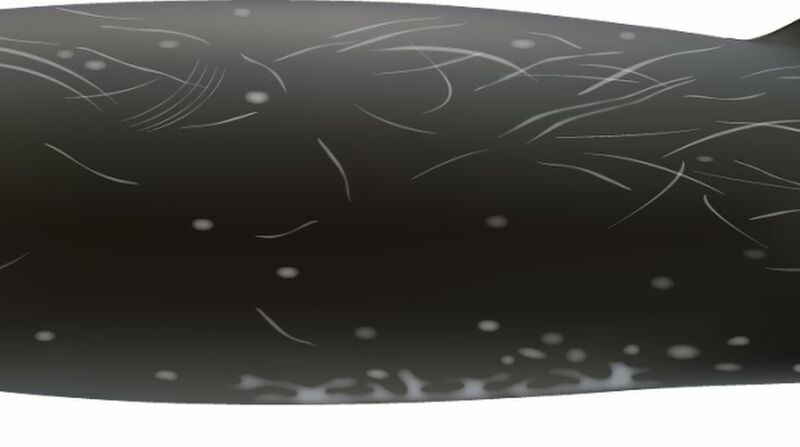 The black whales have bulbous heads and beaks. They resemble porpoises. They are not dwarf varieties of more common Baird's beaked whales. The Baird's beaked whale is a slate-gray animal. Japanese researchers sampled three black beaked whales. They washed up on the north coast of Hokkaido. It is the country's most northern island. The researchers wrote about them in a 2013 paper. The challenge to confirm the existence of the new animal was finding enough specimens from a wider area for testing and matching genetic samples. That is according to Phillip Morin. He is a National Oceanographic and Atmospheric Administration (NOAA) research molecular biologist. He and his team uncovered five other whales. All were found in Alaska. They matched the species found in Japan. "Clearly this species is very rare. And reminds us how much we have to learn about the ocean and even some of its largest inhabitants," he said in an announcement. The largest beaked whale varieties can reach 40 feet. They can spend up to 90 minutes underwater. They hunt for squid in deep water. They are hard to research. This is because they may spend only a few minutes at the surface, Morin said by phone. They rarely breach, travel in small numbers and blend into their surroundings. Japanese fishermen reported occasionally seeing a smaller, black beaked whale. They called it "karasu." It is the Japanese word for raven. They also called it "kuru tsuchi," black Baird's beaked whale. The Japanese researchers in 2013 were limited in declaring that they had found a new species. That is because their three samples were from one location, said Morin. He works at NOAA's Southwest Fisheries Research Center. It is in San Diego. "My first idea was to go to our collection, where we have the largest collection of cetacean samples in the world," he said. In a paper published in the journal Marine Mammal Science, Morin and fellow authors describe analyzing 178 beaked whale specimens. They were from around the Pacific Rim. They found five that matched with the Japanese whales. The oldest was a skull in the Smithsonian Institution. It was recovered from the Aleutians in 1948. It had been thought to be a Baird's beaked whale. Another specimen discovered in Alaska was in the collection of the Los Angeles County Museum of Natural History. The Southwest Fisheries Science Center had tissue from a whale found floating in the Bering Sea. It also had tissue from a black beaked whale stranded on Unalaska Island in the Aleutians in 2004. Local teachers and students had photographed and measured the animal. Its skeleton was put on display at Unalaska High School. The most recent was a 24-foot, adult specimen. It washed up in 2014 on St. George Island, in the Bering Sea. 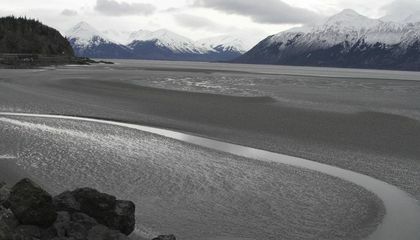 Residents notified Michelle Ridgeway, a marine ecologist with Oceanus Alaska. She documented the animal. "We knew it was not any whale we knew from our area," Ridgway said in the announcement. Little is known about the range of the new species. But the St. George Island whale gives a clue. The whale had scars from cookie-cutter sharks. Those sharks live in tropical waters and bite flesh from larger creatures, like a cookie cutter out of dough. Japanese researchers are in the formal process of "describing" the species, Morin said. That will include giving the whale a Latin and common name and formally defining its measurements and how it differs from other beaked whales. How do these whales blend into their surroundings?